The power of the side hustle: jobs can disappear easily, so it’s smart to have another way to earn money already up and running. There are many ways of looking at the purpose of the side hustle. Like your emergency fund, it can be a form of insurance against adversity; protecting you against situations like your job being made redundant or your marriage ending. A side hustle can also be so much more than that. Starting a side hustle can boost your confidence and increase your skills. It can help you reach your financial goals quickly. A side hustle can also provide you with a creative outlet as well as a way to diversify your income. The importance of diversifying your income can never be over stated. Every good financial adviser will tell you to diversify your investments and even your grandma knew it was a bad idea to put all your eggs in one basket. When you have multiple income streams your financial foundation grows stronger and the risk of losing all your income through one catastrophe reduces. With a good side hustle you’ll watch less TV but you’ll sleep better. Plus, if you’ve always wanted to work for yourself, starting your business as a side hustle gives you a chance to get that business out in the world and working before making the leap to pursue it full-time. There are lots of great reasons for starting a side hustle but you need to find the one that resonates for you. The goal of getting out of debt? Saving a million dollars and retiring? Doing work that feeds your soul while you’re still working 9 – 5 for the man? To challenge yourself to put your entrepreneurial spirit into action? When you’re tired and still working on your side hustle in the wee small hours, a strong belief in your why will help see you through. Once you’ve decided why you want to venture in to the side hustle world it’s time to think about what you’ll do and just as importantly, how you’ll do it. What are you willing to work nights and weekends for? Do people ask your advice on a particular subject? Do you get a kick out of sharing your knowledge or skills with others? Here are a couple of real life examples for you to consider, too. A friend of mine is a skilled pianist. She’s also a high school English teacher. When she decided she needed to do something for extra income and something that fed her soul, she chose to perform rather than add another teaching activity to her timetable. So, my friend plays piano in a very swanky hotel restaurant during their dinner service. No, it doesn’t pay a fortune but in addition to the money she earns, she gets to sit at the keyboard of a piano she could never hope to afford for herself. She sees that as part of the total side hustle value. Another friend of mine, also a teacher, is creating a side hustle business printing limited run T-shirts. This friend teaches fashion design units in a college setting. Recently, she’s wanted to reconnect with her creative spark (and earn a little extra money) so, while on a trip to the manufacturing districts of Hong Kong, she decided to pick up some accessories that caught her eye and began work on creating a limited edition range of T-shirts. She’s only just started testing the market but there’s already a lot of interest in her products. Need some suggestions? Take a look at 21 Awesome Articles To Learn How To Make Money From Home. Regardless of whether you’re selling a product or a service, you’ll need to test your market. You can do that in many different ways and choosing the best options will depend on the service or product you’re offering. my friend with the T-shirts had her partner take a selection into his office to get some feedback from his co-workers – he sold four that day. She’s also considering a ‘pop up’ shop in a popular seaside town and an online store on Etsy. Each of these options work well for the type of product she’s creating. If you’re planning to create hand made items, markets and online platforms like Etsy are a great way to test the popularity of your designs and you can start small. If you start small and test your market, you can make adjustments quickly. Every business needs marketing and promotion. Your side hustle is no different. You can try the ‘Field of Dreams’ approach to business planning (you know; build it and they will come) but you’re likely to be disappointed with the results. Use social media to market your product, idea or service. I’m definitely a proponent of The Power of Less so I recommend you focus on one form of social media at a time. 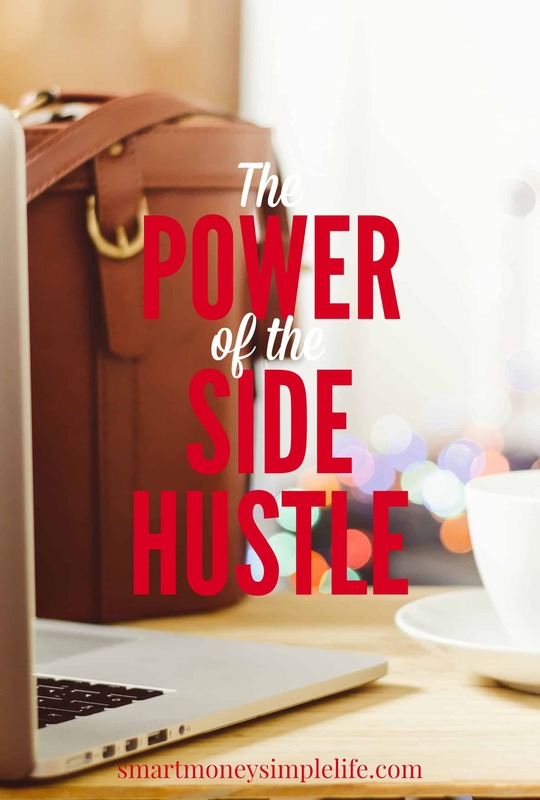 The one you choose will depend on the type of side hustle you’re creating. I love Pinterest, it’s visual and it works for me, but you might find Twitter or Facebook more appropriate for you and your side hustle. Again, test, make adjustments and test again. Personal recommendations are priceless if you’re selling a service like consulting, coaching or tutoring so get friends to spread the word to their networks, too. And, remember, even consultants, coaches and tutors can get great value from their own website. You can find simple instructions for setting up your own self-hosted site here. Apparently, roughly 30% of the workforce in both the U.S. and Australia (according to Upwork) have taken the side hustle concept to heart and now work full-time as freelancers. You might never want or need to take your side hustle to the full-time occupation realm but it’s always an option. Many bloggers, like Michelle at Making Sense of Cents and Holly and Greg at Club Thrifty have turned their side hustles into full-time businesses. I turned my own side hustle into a full-time business, too. If you’re looking for flexibility in your work and family life as well as control over your earning potential, building a side hustle into a full-time business is a great way to achieve those desires. Pinterest. Pinterest is my favourite way to promote my blogs and boost traffic. You can make pinning even easier if you use BoardBooster to schedule your pins. Use this link to sign-up for their free trial. If you want a simple graphics program to create your pinnable images, I highly recommend PicMonkey. It’s easy to use – even for novice designers. Don’t wait. The best time to start a side hustle is right now. The sooner you plant the seeds of an idea or start pitching for consulting or freelancing work, the sooner you’ll reap the benefits. Remember: The simplest way to make a million dollars is to solve a billion dollar problem. Your side hustle could have the power to achieve that result. Do you have a side hustle or are you thinking of starting one? 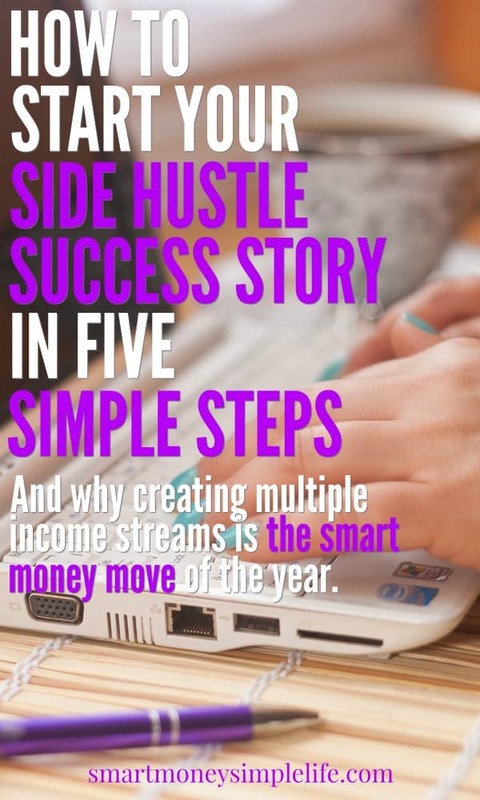 What do you like best about having an additional income stream? Side gigs definitely give you choices. I *like* choices! And… Life’s too short to be working for someone else’s dream. I can’t imagine not side hustling. I’ve been doing it for so long it seems like a normal part of my life. I almost think side hustling is more guaranteed than having a part time job because you can control everything! I like the way side hustles give you choices as well as control.